I’ve always been a dedicated lifetime learner. Part of my writing makeup and a big part of my writing goals, is the need to continuously improve upon and learn new writing skills. I have a personal stance of Kaizen or continuous small improvements. In fact, one of the most often used notebook stacks in my Evernote database is one called ‘Kaizen / Self Development’ with a Classes and ToDo notebook under. Many weeks through the year I have some short classes I am taking, and I work through those courses within my Classes notebook. Overall, as a dedicated Indie writer, I know that there is a lot of good solid advice out there, and studying it will allow me to master my craft much more quickly. If I don’t know the rules, I don’t then know how to break those writing rules if I need to (and where I might like to avoid breaking them). I love breaking rules. I may not have the fortune of purchasing every writing craft book out there, but my self-study into writing means that I at least know what I’m looking for: If I feel the need to play with a new structure for outlining a novel, or feel, perhaps, that my story needs a different archetypal character. But finding exactly the right creditable resource or link at the time of needing it, is often difficult. This last month I decided to amalgamate my own writing self study program into one set of encyclopaedic posts. I’ve published these online onto my HunterEmkay website, rather than here at Hunting Down Writing. It’s on my website as the wordpress self-hosted site allows for a good plugin. Feel free to bookmark the Self Study main index, as I continue to grow and write the extracts. So far you will find some reference pages (listing the best resources and explanations) on several well-known writing structures such as the Hero’s Journey, or Lester Dent’s Short Story structure; and other categories such as Characters, World Building and Famous Writing Rules – the later includes Elmore Leonard’s 10 Rules of Writing and others. You can search each sub-category page using the alphabetical links at the top of each page, or search the full main index similarly. Note: many entries are works in progress, and may alter as I gather new resources over time. In the future as I find time, I will be updating the entries and also intend to add other categories such as beat sheets and other well-known templates, and other famous writing tools out there. Combined, all these pages and resources have helped me in my own self-study sessions to understand and improve my writing. I hope by sharing them with you,that somebody else might benefit from having them all there together also. 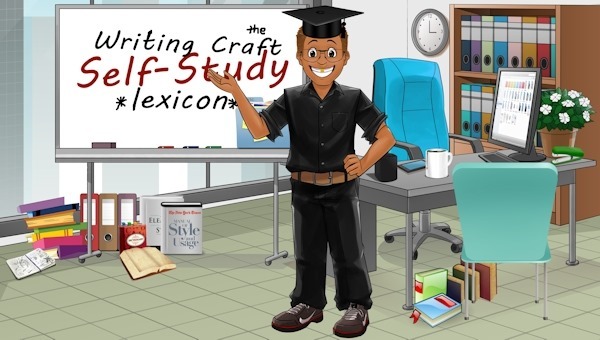 (If you have any ideas for other inclusions in the Writing Craft Self-Study Lexicon, please add a comment to this post). This post is participating in today’s Indie Life blogfest. You can find other Indie Life posts via the IndieLife signup at Indelibles.